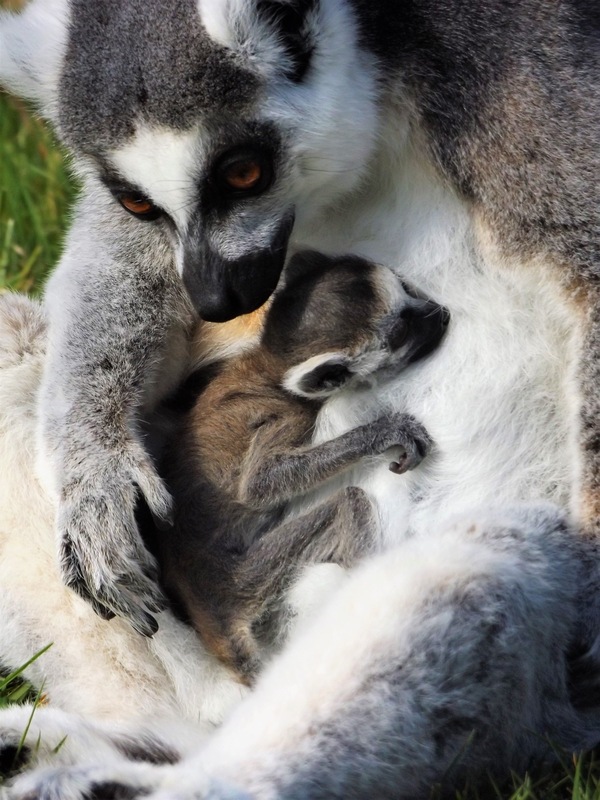 Keepers at Wingham Wildlife Park in Kent were delighted to welcome a healthy ring-tailed lemur pup last Friday 22nd March. The youngster was born to experienced mum Minx, 5, and Dad Alex, who is 11. Minx has previously had twins and another single offspring. 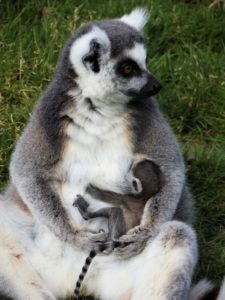 The newborn joins a troop of ring-tailed lemurs at the Park’s walk-through enclosure where visitors can come face to face with these loveable characters. The best chance of seeing the new arrival is during the lemur walk-through opening hours of 12-1pm and 2-3pm – and particularly during the 2.45pm talk when Minx often comes out for a little snack. The ring-tailed lemur is native to Madagascar where they inhabit deciduous forests, dry scrub and forests along riverbanks. Adult lemurs may reach a body length of 46cm (18 in) and a weight of 5.5kg (12 Ib) with a tail longer than its body, at up to 56cm (22 in) in length. At the park, their diet consists of vegetables, fruit, monkey pellets and occasionally nuts, seeds and insects.